What is a "Yappy Hour".... basically it is a Happy Hour that doesn't discriminate against canines. A Yappy Hour is not new. You will find them across the country. 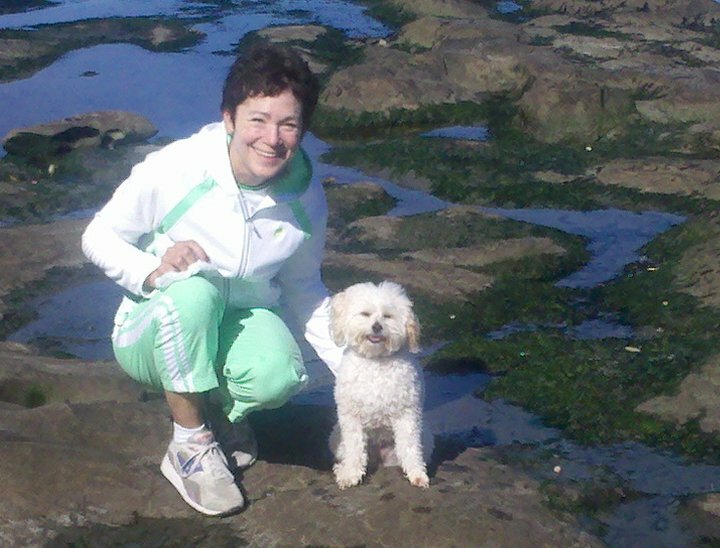 Each Yappy Hour is a fun event hosted at various venues. The focus can be social or educational and usually has a fundraising component for dogs and cats in need and the local Humane Society. And, It's a Guaranteed Barking Good Time! This is a first time event for us on the Peninsula in support of the Olympic Peninsula Humane Society and sponsored by Olympic Cellars Winery and Harley... my new Winery Dog in Training. 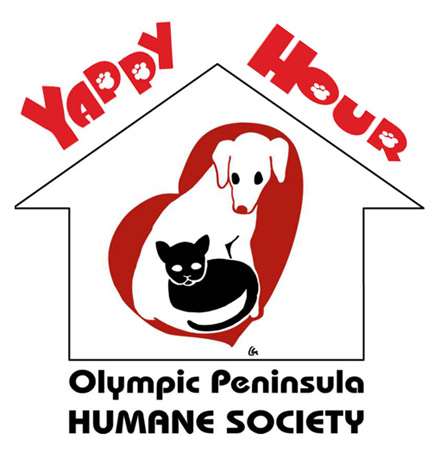 This tail wagging event will take place on Saturday, October 16, at Olympic Cellars Winery in Port Angeles from 6 - 8 p.m. 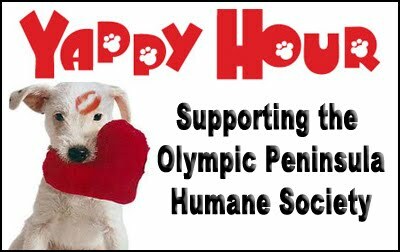 There will be a $10 cover/donation for the Olympic Peninsula Humane Society. You don’t need to have a pet "date" to attend. Join us for Yappy Hour, support the OPHS and just maybe you'll find your new best friend... dogs and cats will be looking for adoptive parents. All small breed, well-behaved, people-friendly, dog-friendly pooches that are spayed/neutered (just in case there's a love connection) are welcome. Also, dogs need to be current on shots. The cellar is a confined space and big/small dogs might not mix well until we get a better handle on the whole human/dog social hour. This is our trial run. In summer when we can be outside then we can really get creative.